This page highlights Artstor content related to the history of photography, including works by significant photographers chronicling people, events, and places of our time, as well as images documenting the development of landmark processes and technologies, from early daguerreotypes to contemporary prints. 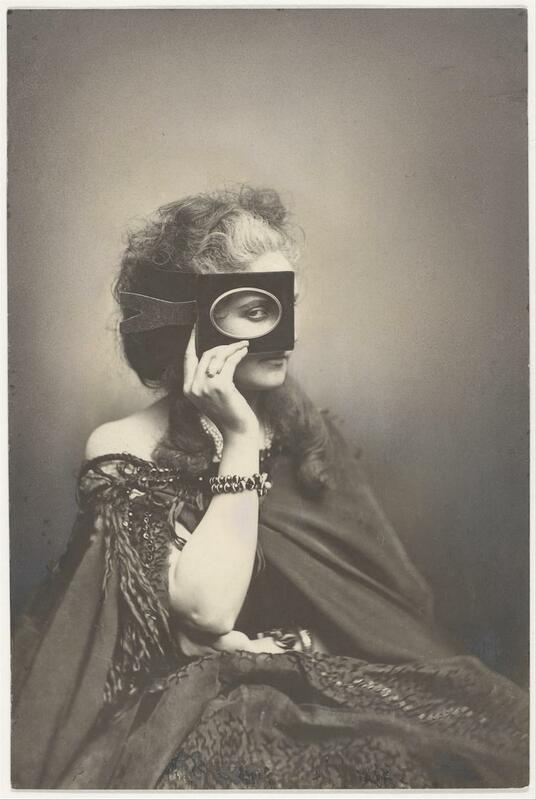 Image source: Pierre-Louis Pierson. Scherzo di Follia (Countess Virginia Oldoini). 1863-66, printed 1940s. The Metropolitan Museum of Art. Browse by classification for photographs and then select a country name to view images to view works by photographers from specific countries. Note that filtering by country narrows results by the creator's country of origin. Browse museums with encyclopedic collections (e.g. The Metropolitan Museum of Art or The Solomon R. Guggenheim Foundation) by classification for Photography. Keyword search for processes (wet plate collodion, salt paper print) or viewing techniques (camera obscura, magic lantern). Try these sample search terms to find images related to photography. Don't forget to use the search filters to narrow your results. The Schlesinger Library at the Radcliffe Institute for Advanced Study at Harvard University has shared more than 36,000 photographs related to the history of women in the United States. These images represent the work of both professional and amateur artistic and documentary photographers, including many women photographers. Of particular note are the photographs of Jessie Tarbox Beals (1870–1942), which include documentation of the Saint Louis World’s Fair in 1904, city scenes in New York, houses and landscapes in California, and portraits of artists, writers, and actors. Similarly, the Library of Congress has shared more than 20,000 images, the bulk of which are made up of materials relating to the photographer Arnold Genthe (1869–1942), whose studio archive was purchased by the library in 1943. Genthe also specialized in portraits, including society women, performing artists, politicians, and other notable personalities.